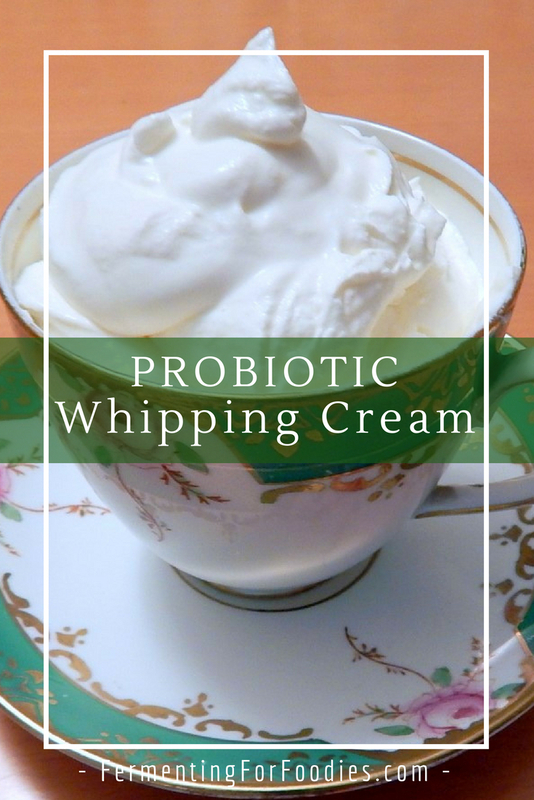 I love making probiotic whipping cream. 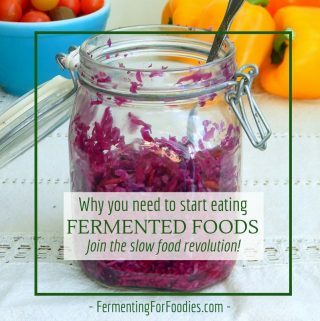 It’s so easy, and it’s a great way to get more probiotics into your diet. 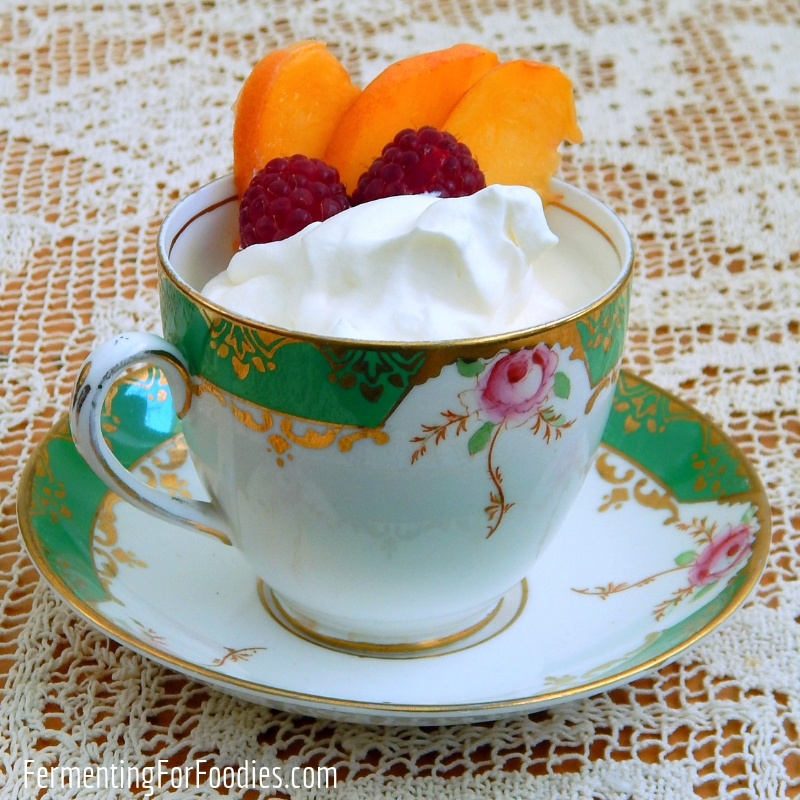 Best of all culturing helps stabilize the cream, so it’s perfect for scones, cakes and pies! Cream sauces like my probiotic Alfredo. A sugar-free breakfast topping for waffles, pancakes and crepes. 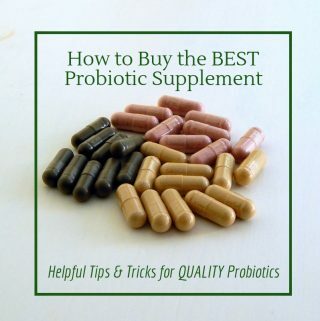 Probiotic treats like truffles or pudding. Mix the cream and culture in a glass jar. Cover and leave at room temperature for 8-24 hours. The exact time will depend on the culture you use and how sour you want your whipping cream. Don't over culture it as it will curd. Buttermilk: Use 1/4 cup of cultured buttermilk, and culture for at least 12 hours. 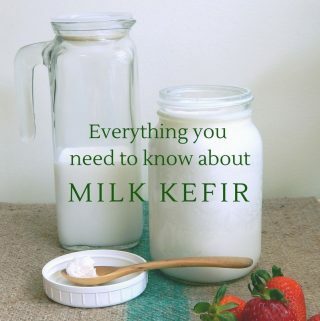 Milk Kefir: Use 1 tbsp of kefir grains, and culture for 8-12 hours. Don’t leave your kefir grains in the cream too long or it will separate the fat from the whey, and you’ll end up with butter! 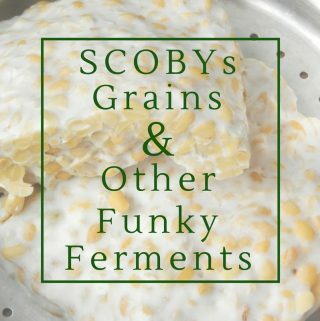 Even after 12 hours the fat will have floated to the top, so mix it up after removing the grains. Mesophilic Yogurt Culture: Use 2 tbsp of yogurt and culture for 12-24 hours. Sour Cream: If you are using a store bought sour cream, make sure it’s fermented. It should have probiotic cultures listed on the ingredients. Use 1/4 cup of sour cream and culture for at least 12 hours.